GLADSTONE, Mo. - Mary Ann Wheeler, 69, of Gladstone, passed away April 7, 2019, at New Mark Northcourt Rehab Suites. 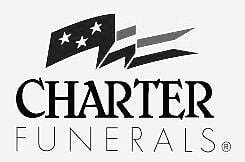 Funeral services will be at 1 p.m. April 11, at Charter Funerals Northland Chapel. Visitation will be 5:30 to 7:30 p.m. April 10. Reserved parking for classic cars. Mary Ann (M.A.) was born April 27, 1949, in Leavenworth, Kansas. She was employed at Lowe's Home Improvement until her retirement in November 2018. Her hobbies included cooking, gardening and classic cars, especially her 1951 red Chevy Pickup. She enjoyed attending her daughters', then grandchildren's various sporting events. She loved spending time with her family and spoiling her beloved dog, Hannah. Survivors include: her husband, Roger Wheeler, of the home; daughters, Wendi (Ron) Cambron, of Agency, Missouri, and Hayley (Craig) Perkins, of Evanston, Wyoming; grandsons, Cody (Sara) Wheeler and Tanner (Katie) Jones; granddaughters, Kylie Perkins, Jourdan Perkins and Mackinzi Mattson; great-granddaughter, Alison Wheeler; three sisters; one brother; and numerous nieces and nephews. As published in the St. Joseph News-Press.